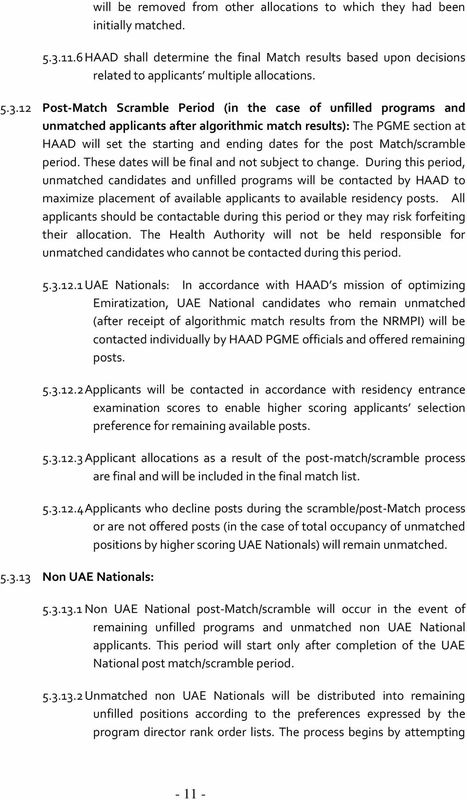 Download "Health Authority Abu Dhabi. 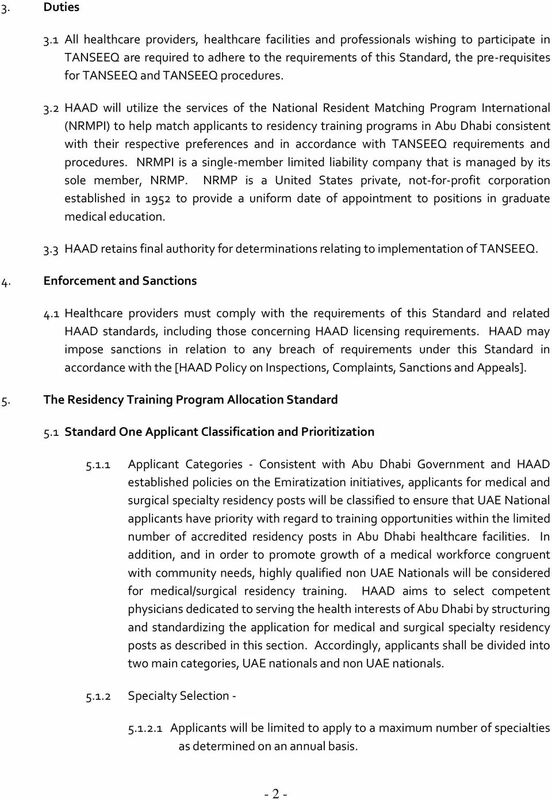 HAAD Standard for the Allocation of Physicians in Residency Training Programs in the Emirate of Abu Dhabi (TANSEEQ)"
1 Health Authority Abu Dhabi HAAD Standard for the Allocation of Physicians in Residency Training Programs in the Emirate of Abu Dhabi (TANSEEQ) 1. Purpose 2. 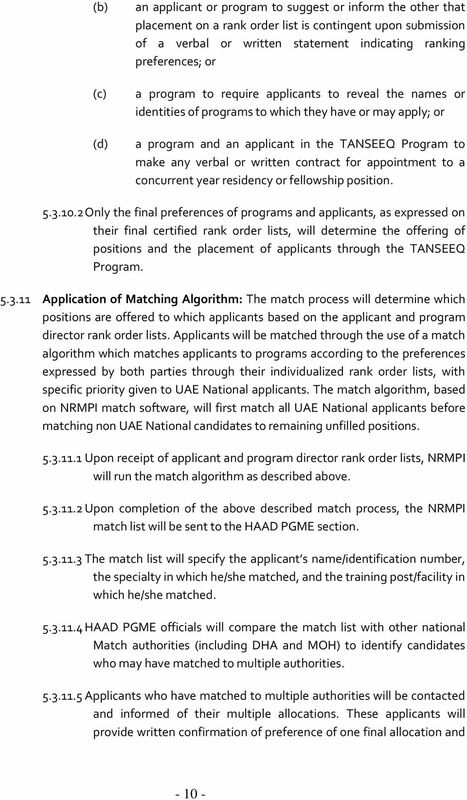 Scope 1.1 The Health Authority - Abu Dhabi encourages graduates in the medical field to enhance their professional expertise by enrolling in structured post graduate medical professional training. The mandate of the Health Authority Abu Dhabi (HAAD) is to protect, promote and improve healthcare services for the Emirate of Abu Dhabi. Medical education and training is essential to achieve and maintain a stable and qualified professional medical workforce in the Emirate. 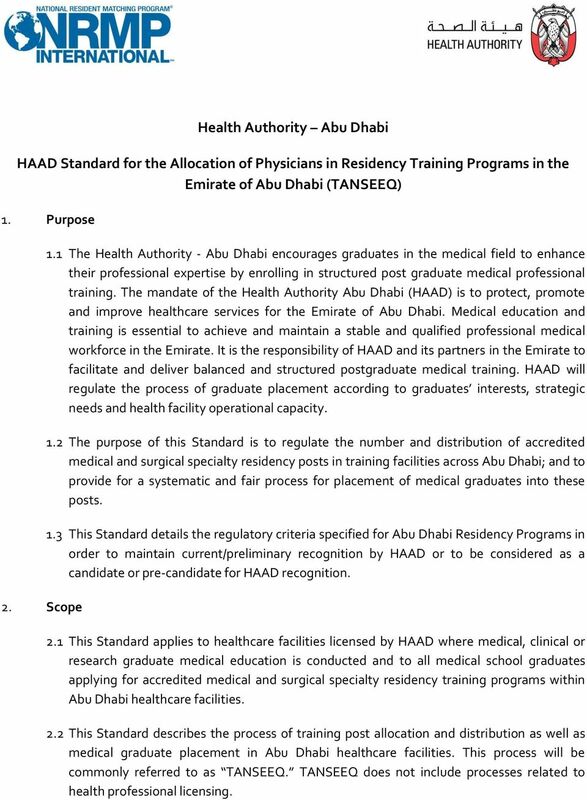 It is the responsibility of HAAD and its partners in the Emirate to facilitate and deliver balanced and structured postgraduate medical training. 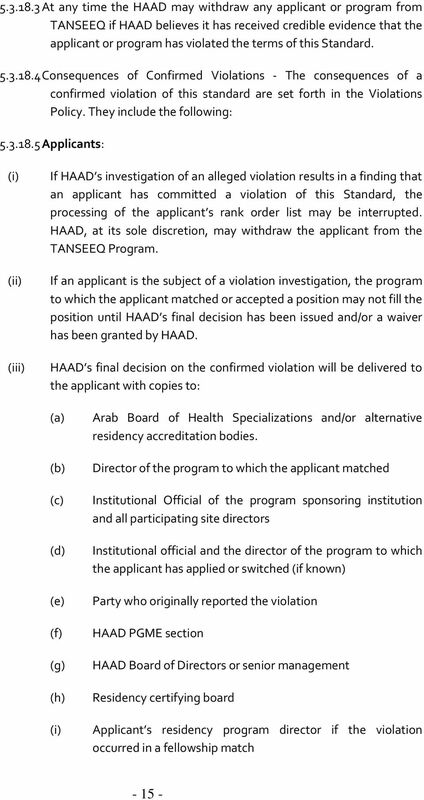 HAAD will regulate the process of graduate placement according to graduates interests, strategic needs and health facility operational capacity. 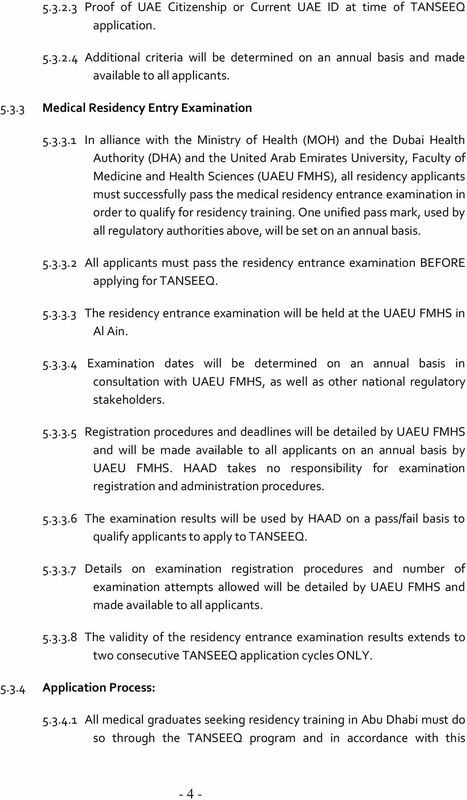 1.2 The purpose of this Standard is to regulate the number and distribution of accredited medical and surgical specialty residency posts in training facilities across Abu Dhabi; and to provide for a systematic and fair process for placement of medical graduates into these posts. 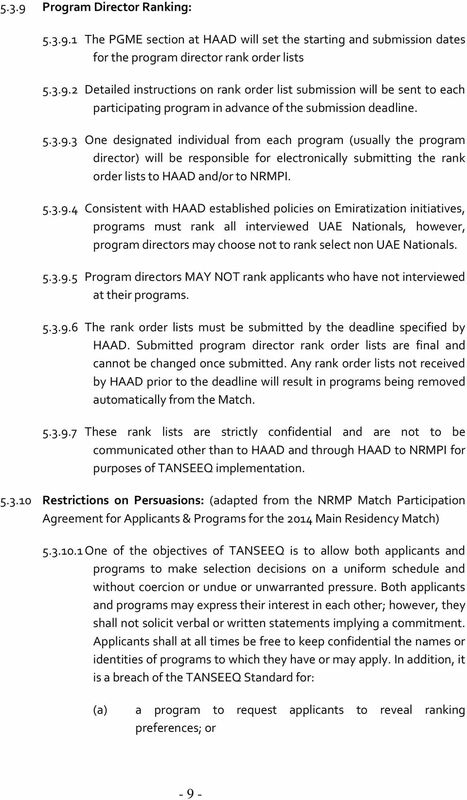 1.3 This Standard details the regulatory criteria specified for Abu Dhabi Residency Programs in order to maintain current/preliminary recognition by HAAD or to be considered as a candidate or pre-candidate for HAAD recognition. 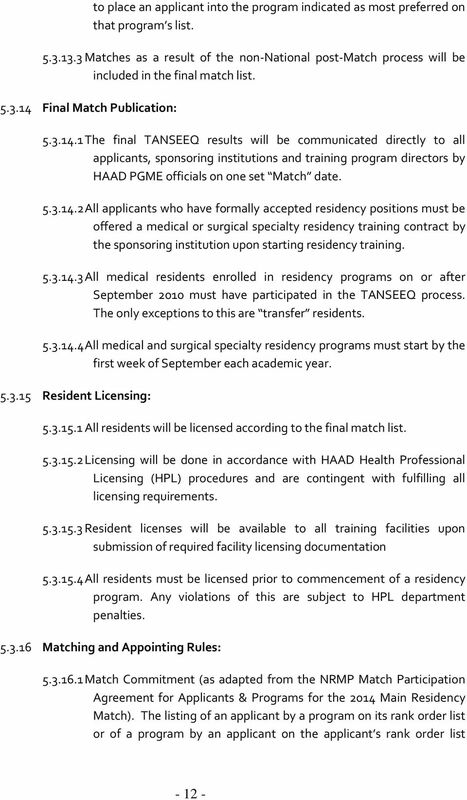 2.1 This Standard applies to healthcare facilities licensed by HAAD where medical, clinical or research graduate medical education is conducted and to all medical school graduates applying for accredited medical and surgical specialty residency training programs within Abu Dhabi healthcare facilities. 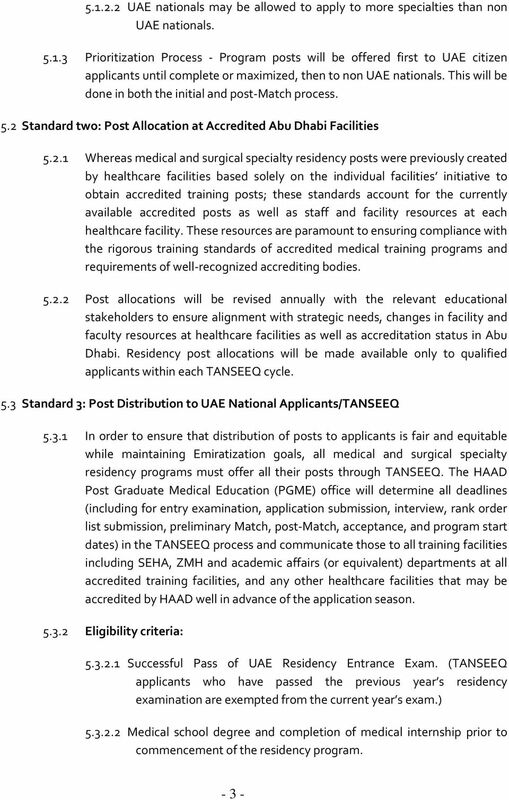 2.2 This Standard describes the process of training post allocation and distribution as well as medical graduate placement in Abu Dhabi healthcare facilities. 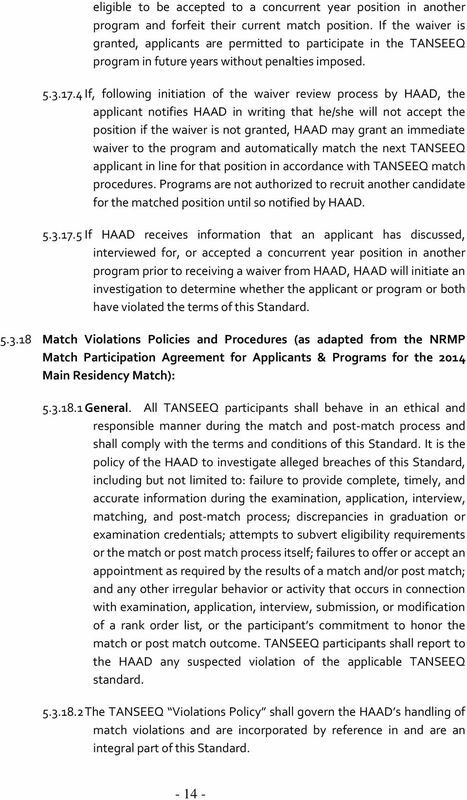 This process will be commonly referred to as TANSEEQ. 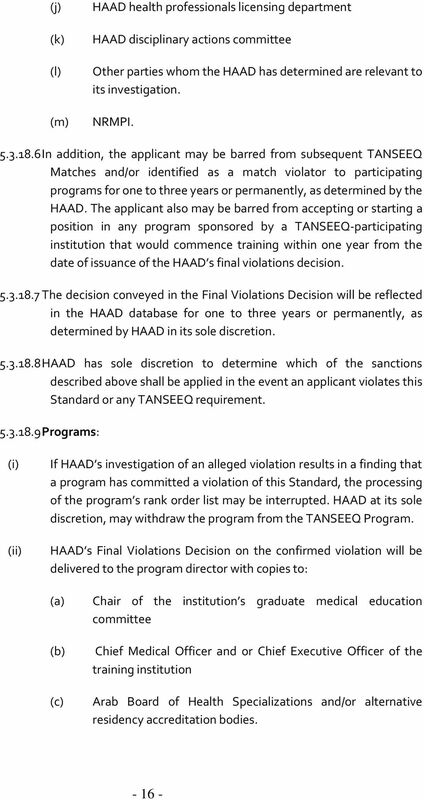 TANSEEQ does not include processes related to health professional licensing. 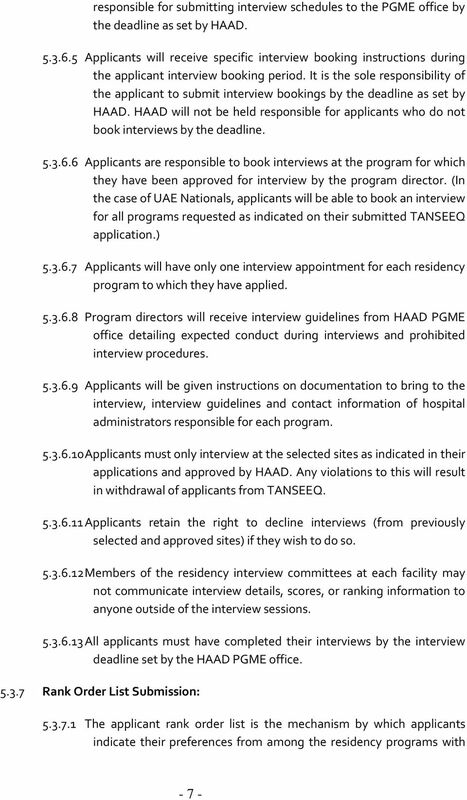 Visiting Residents enrolled in ACGME-accredited specialty and sub-specialty training programs in JCAHO accredited Hospitals in U.S. 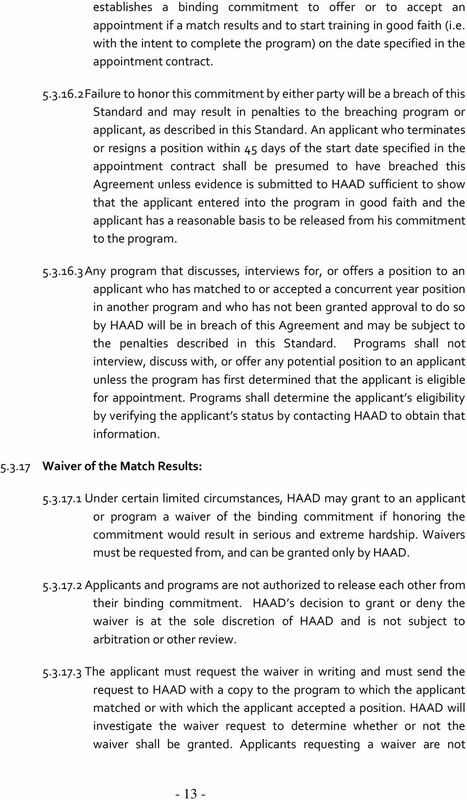 Thank you for having applied to a Pain Medicine Subspecialty Residency. 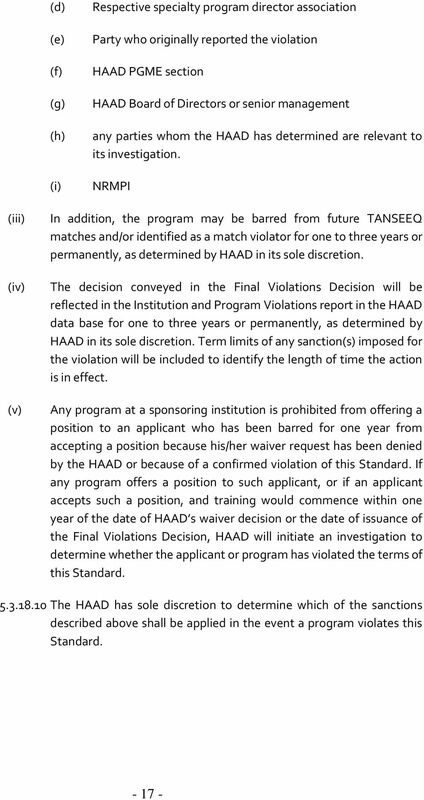 JANUARY 14, 2013 I. Preamble The University of Texas Health Science Center at Houston (UTHealth) is committed to ensuring that its affairs are conducted in accordance with applicable laws and regulations. (1) ECMC has obtained substantial private student loan debt relief for current and former Corinthian students. 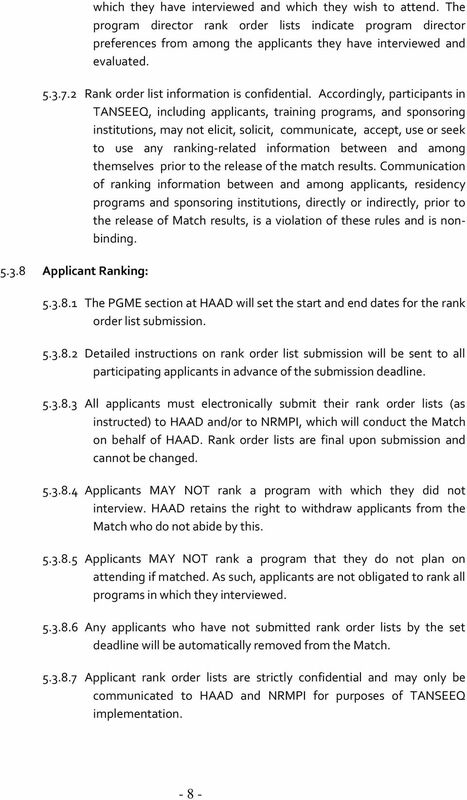 Note: Non JCQ awarding bodies have their own reporting forms and these would be used where appropriate.